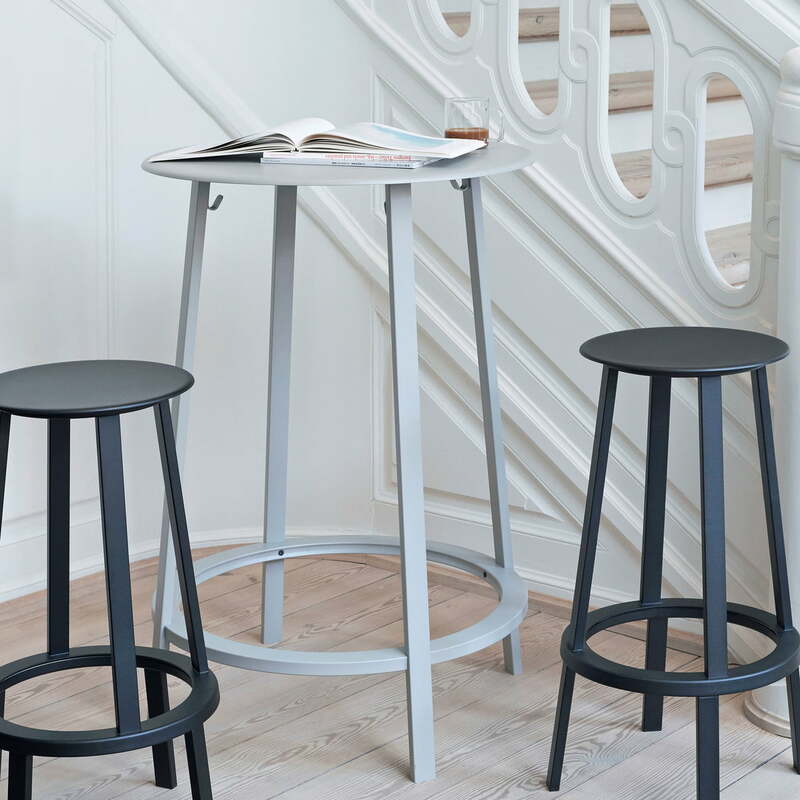 Leon Ransmeier's Revolver Standing Table is designed to complement the Hay Revolver Stool family and is made of powder coated steel. 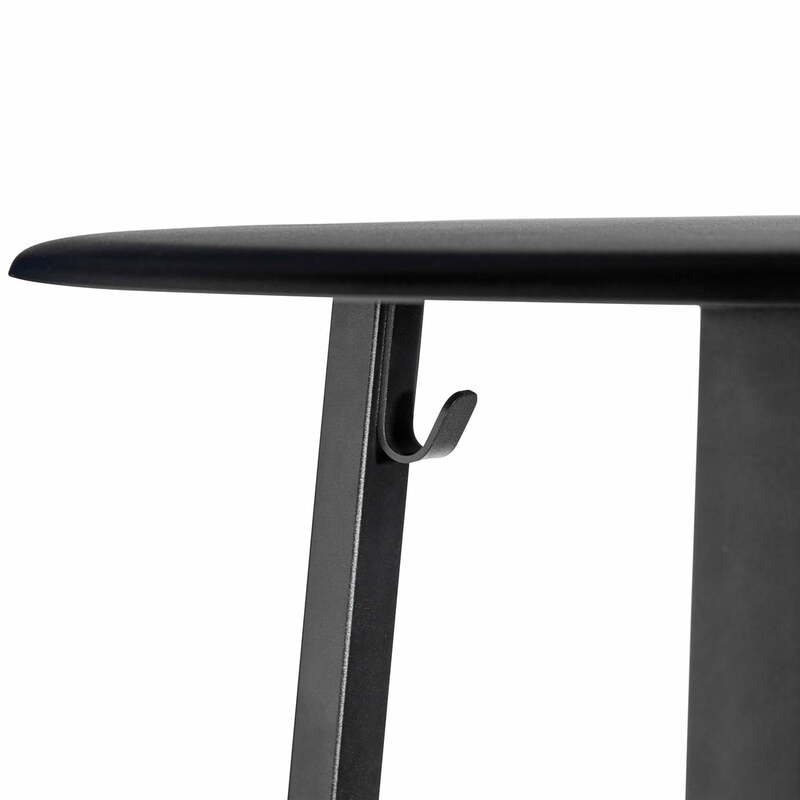 The table is characterised by the same curved edges and the feeling of symmetry. The round footrest provides functional support, while hooks on the table legs allow coats and bags to be safely stored. Its timeless shape makes it ideal for a variety of public and private environments. 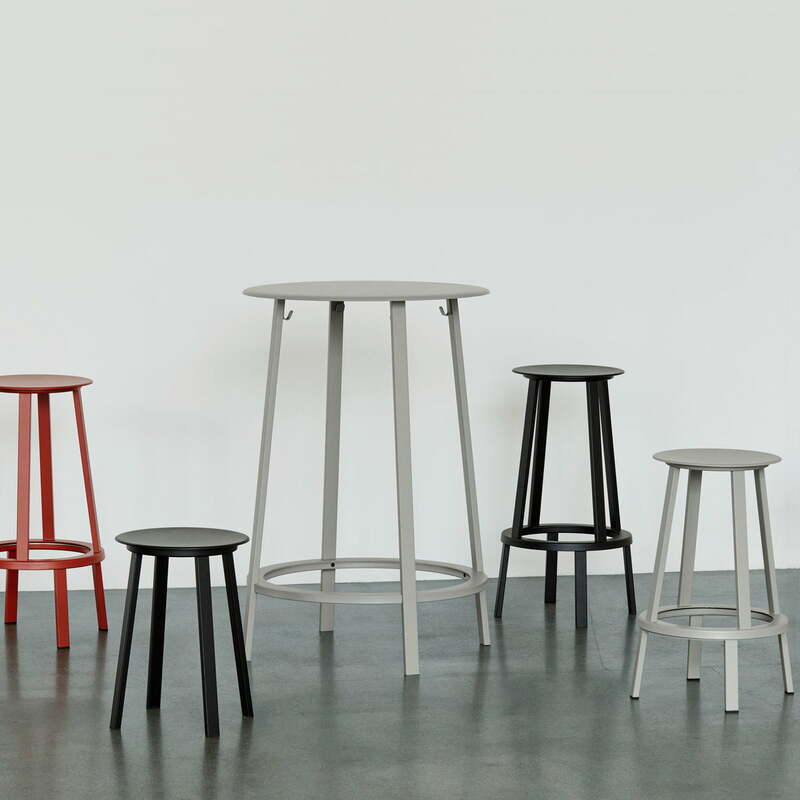 The table is available in various colours and is suitable for cafés, restaurants and the home kitchen. The table is equipped with a knock-down technique so that it is easy to pack flat. 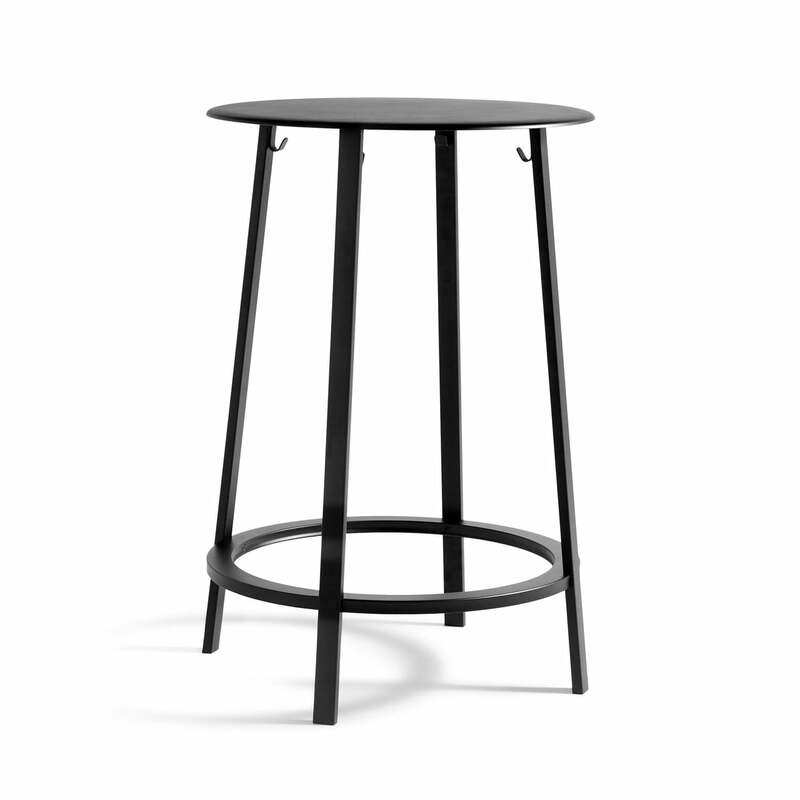 The square legs are attached to the upper ring and the table top of the foot ring with a total of 16 screws and are therefore extremely stable. Four adjustable plastic glides ensure a level surface, independent of uneven floors. The revolver standing table by Hay in the group view. 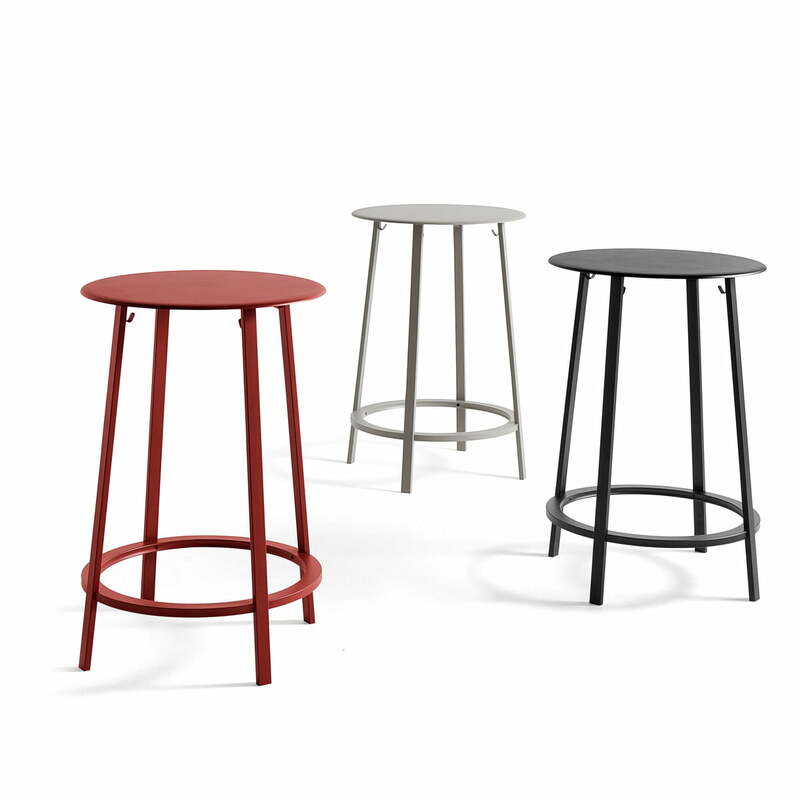 The table is available in various colours and is suitable for cafés, restaurants and the home kitchen. The revolver bar table and the revolver bar stool by Hay in the ambience view. 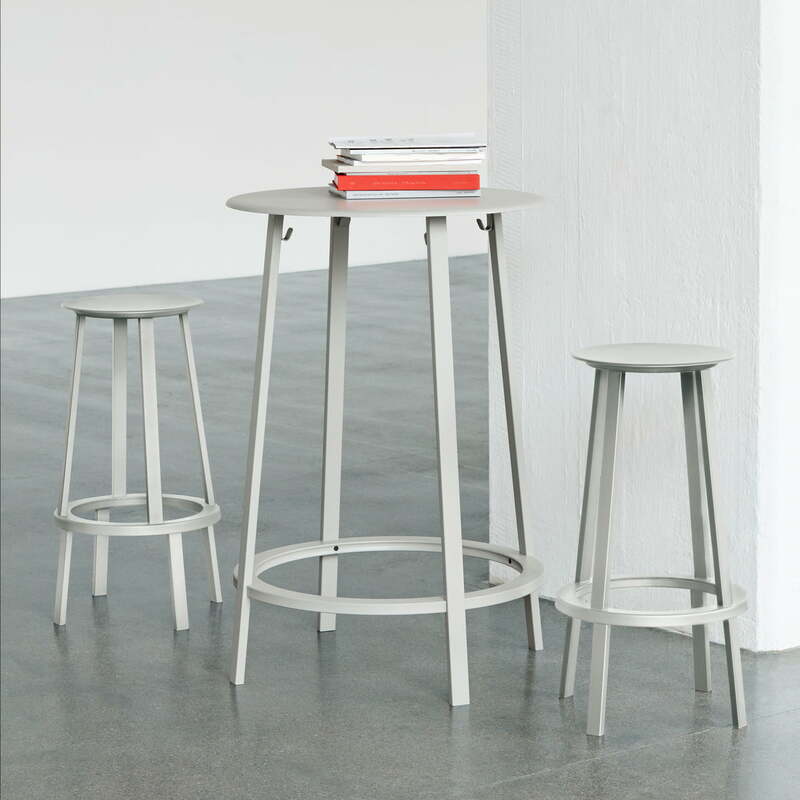 The table and stool are characterised by the same curved edges and the feeling of symmetry.